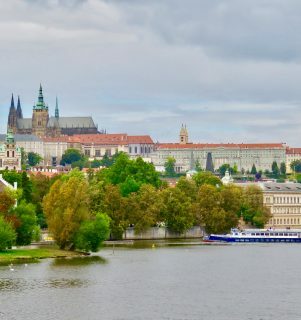 Prague, capital of the Czech Republic, is a charming, vibrant city nestled on the Vltava River with buildings, like the original castle, dating back as far as the 9th century. Around the 14th century Emperor Charles IV made Prague the centre of the Roman Empire and fulfilled the vision of this place being, ‘a vast city, whose glory will touch the stars’. Although occupying a relatively small area, Prague requires a lot of walking. However, as we were told by a local, “you will soon find your favourite trams”.